We've recently introduced a new Planning capacity for future Team Iterations Solution. Let's go into more detail and see how it may work for you and your team. Details: Your team estimates each work item, you know the average or planned Capacity limits for upcoming Team Iterations. You do not use Allocations, all work is either from 1 Project or there are no restrictions on how the work should be allocated between several Projects. You want to plan your team capacity effectively (see if the team is underloaded or overloaded) inside Targetprocess without any other tools. First of all, you should add a board with this setup: Team Iterations and Teams as lanes, Features and User Stories as cards. Then, go to the Team Iteration(s) details page and add the value of planned capacity into the "Capacity" field. As a result, you will see the Team Iteration load badge in each Team Iteration / Team cell, that indicates the current load of the Team Iteration. The system compares total assigned effort of work items to Team Iteration capacity. Moreover, the color of the badge will show whether the Team Iteration is overloaded or not. On click you will see details: the subtotals for each Project, selected in view setup. 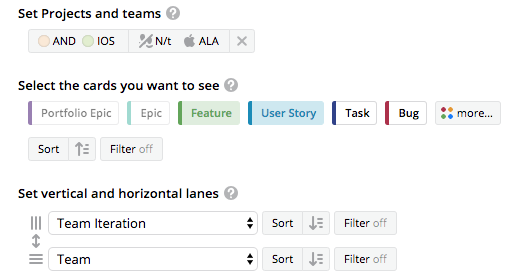 From the details pop-over you can navigate to the Team Iteration's entity details view by clicking on its badge. Details: Your team estimates each work item, you know the average or planned Capacity limits for upcoming Team Iterations. Your team uses Allocations, it is important for you that the percentage of Project Allocation is kept. Let's say, you plan 30% of work from Project A and 70% of Project B. Your goal is to plan Team capacity effectively (see if the Team is underloaded or overloaded) inside Targetprocess without any other tools. You want to be sure that you follow the Allocation percentage while planning Capacity. The Team Iteration load badge is shown for each Team Iteration / Team cell and indicates the current load of Team Iteration. The system compares assigned effort of work items to total Team Iteration capacity and assigned effort for each Project to Project Capacity. There is the team "Alaska" with Capacity 320h for a Team Iteration. Team has 30% and 70% allocations to projects "Android App" and "iOS App". It means that the proportion of total assigned effort should keep this percentage. We highlight the capacity badge in red even if the total capacity is not overloaded, but the allocation percentage is not kept. The capacity details will explain which Project is overloaded.